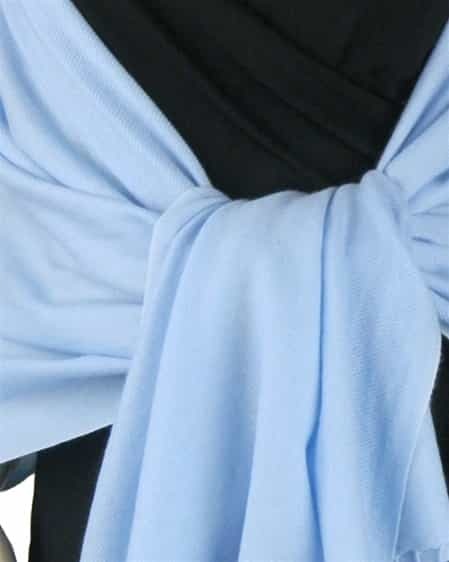 The Pashmina Store is proud to bring you the finest quality Light Blue 100% pashmina wraps at exceptional values. 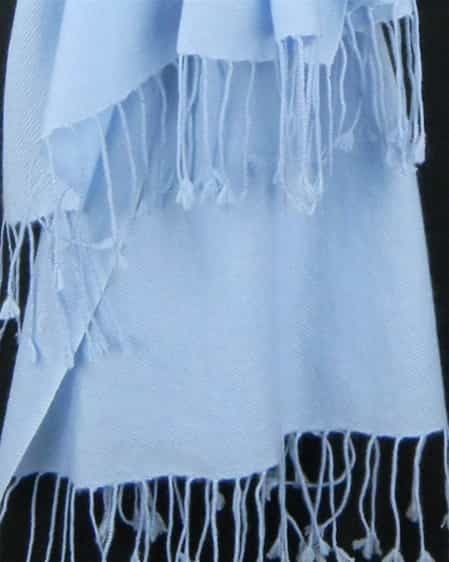 This beautiful wrap is a full 28" x 80", plus 3" tassels on both ends. It is carefully crafted by hand in Nepal using 100% soft and wonderful pashmina wool. Plus, it is luxurious 2-ply...making it extraordinarily comfortable. I adore pastel tones so I ordered this item and the light pink. While I like them both, this is my favorite. 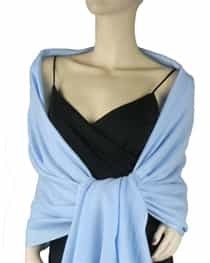 A very soft blue color and very nice cashmere. I'll try the 3 ply at some point but for now I really like these 2 ply wraps.